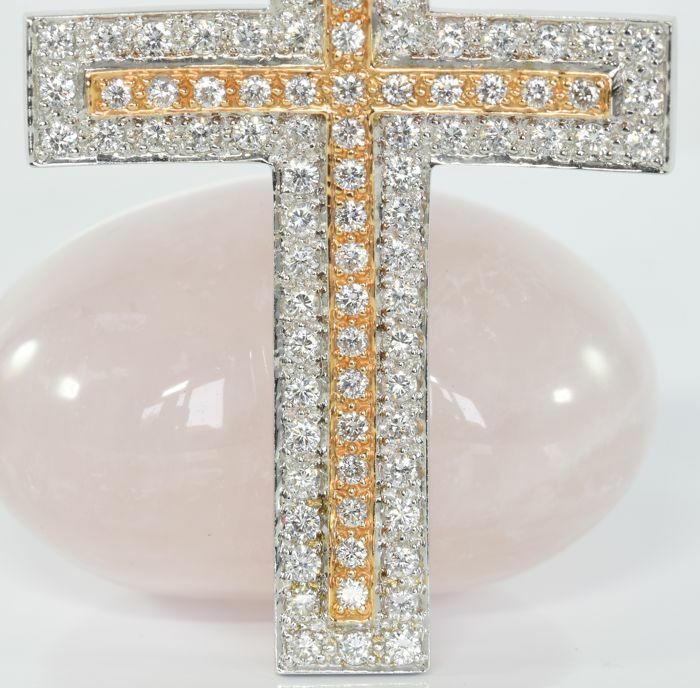 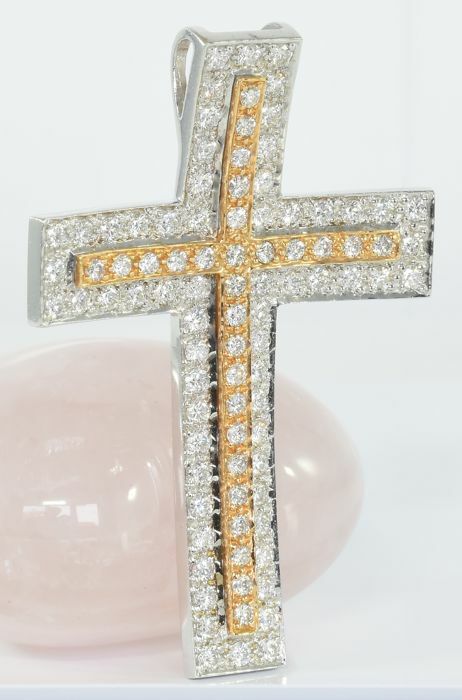 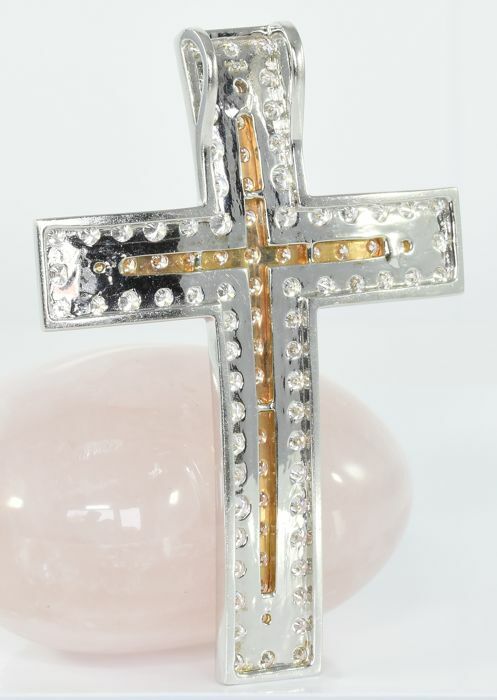 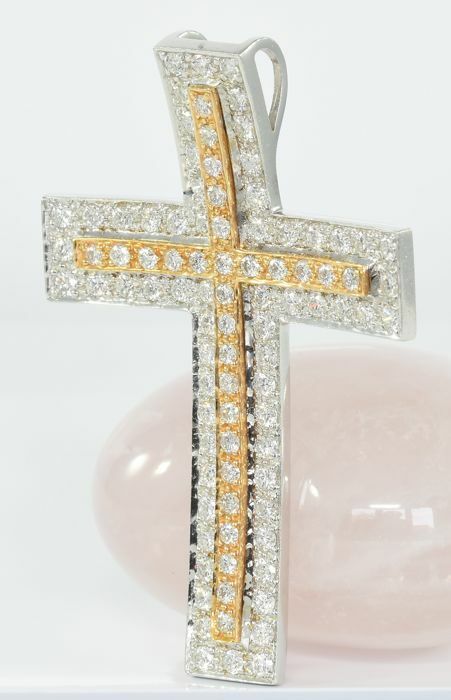 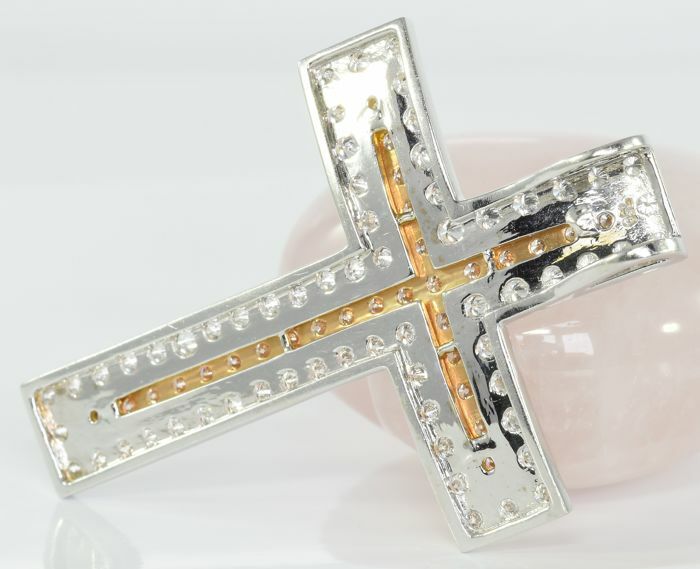 An 18kt yellow and white gold cross pendant with brilliant-cut diamonds. 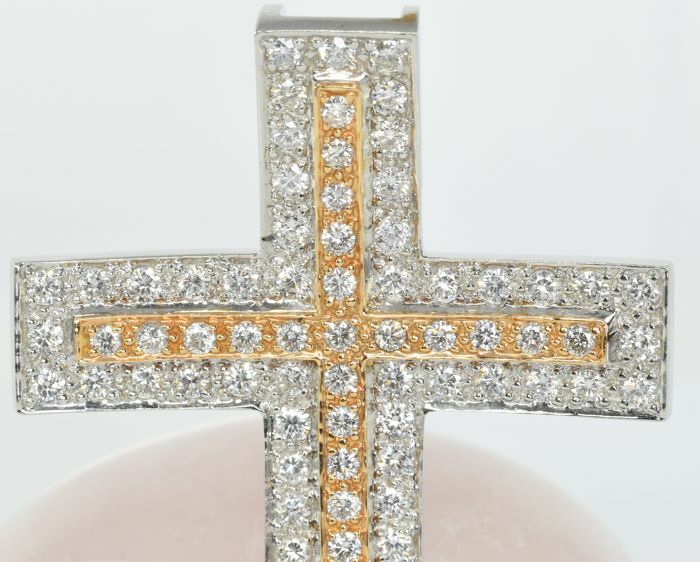 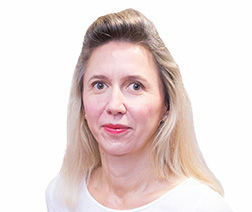 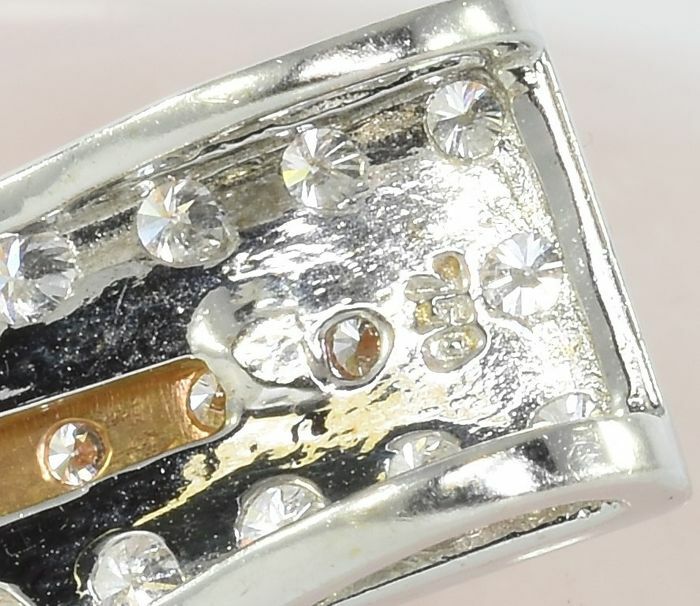 All diamonds are securely set, white and absolutely eye clean, producing an exceptional sparkle. 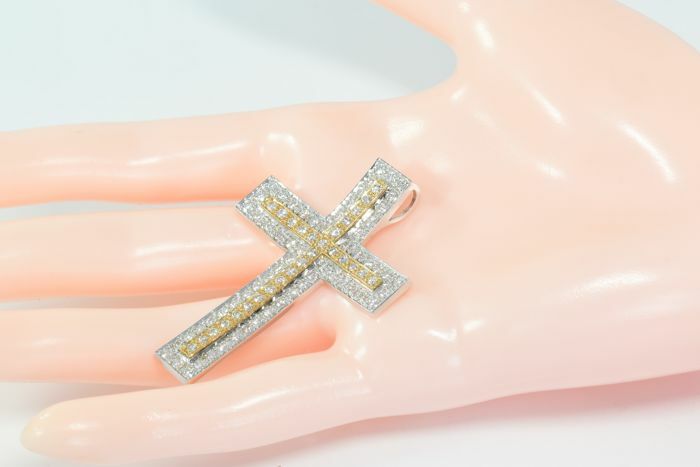 The pendant weighs a substantial 9 grams and is hallmarked for 18 kt gold. 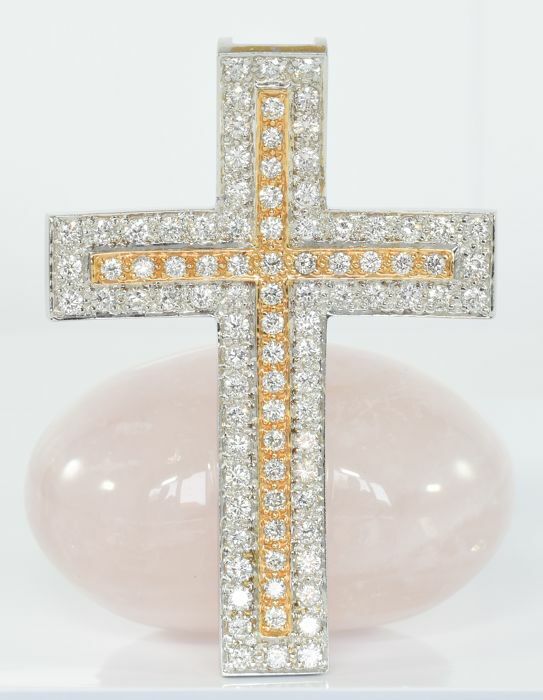 Presented in very good condition with a new box.